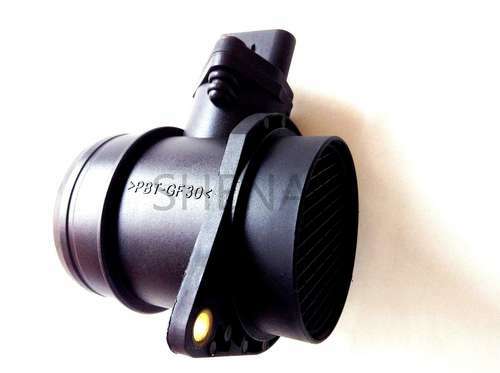 Mass air flow meter is an air flow sensor, also known as a MAF sensor, and is an integral component of the computer controlled engine system found on most modern cars. Generally located in the plastic housing between the engine and the air filter. It decides the basic fuel injection mass and provides an optimal air-fuel ratio for the engine. Therefore, the engine can make the fuel completely burst, and achieve the largest power and reduce emission. Consequently, the automobile can achieve the best performance, and meet the emission limits required by law. Each product is placed in a bubble bag before packed in a small cardboard box, thenput small cardboard boxes in a corrugated cardboard carton. Also could be packaged according to customer requirements.